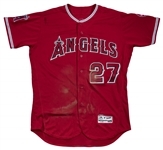 Los Angeles Angels centerfielder Mike Trout, the best player in the Major Leagues, wore this red Angels alternate home jersey on August 5th and 6th, 2017, during two games against the Oakland Athletics at Angel Stadium of Anaheim. 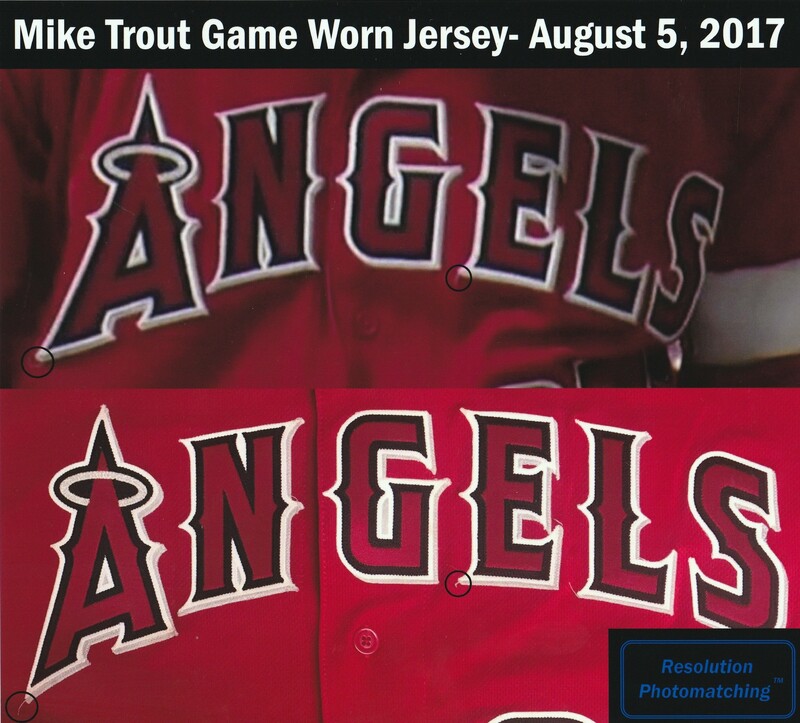 Trout went hitless in the first game, a 5-0 A’s victory, but he showed his power during the second contest, a thrilling 11-10 Angels victory. 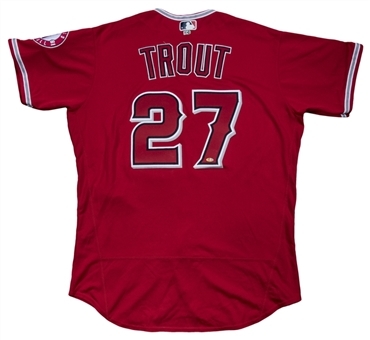 Trout hit his 22nd home run of the year, the 190th of his career, in the third inning of the Angels victory off A’s starter Sean Manaea. This homer was the 999th hit of Trout’s career. Trout also drew two walks in this game, scoring a run in the sixth inning thanks to a throwing error from A’s shortstop Marcus Semien. Trout, a perennial MVP candidate, finished the 2017 season with 33 homers, 72 RBI, and a .306 batting average in only 114 games. 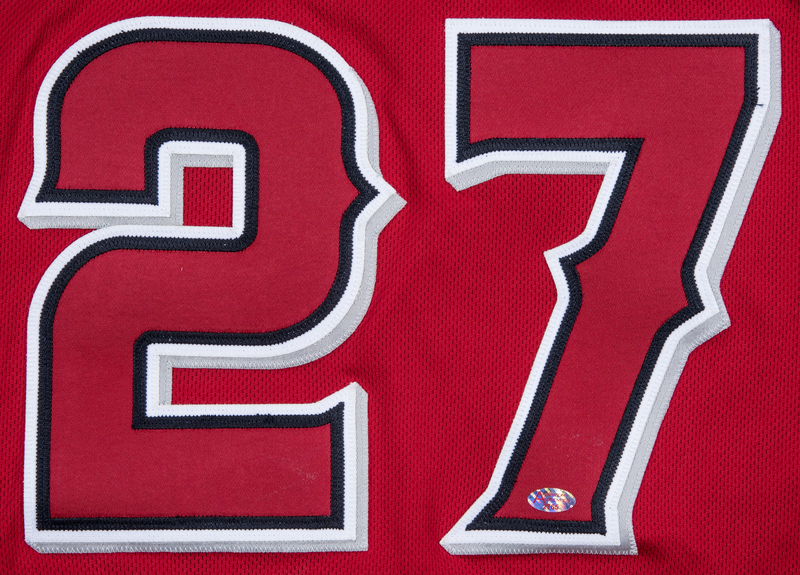 He finished fourth in the American League MVP race despite missing almost 50 games of the season. The New Jersey native made his sixth consecutive All-Star Game in 2017, cementing his status as baseball’s premier superstar. 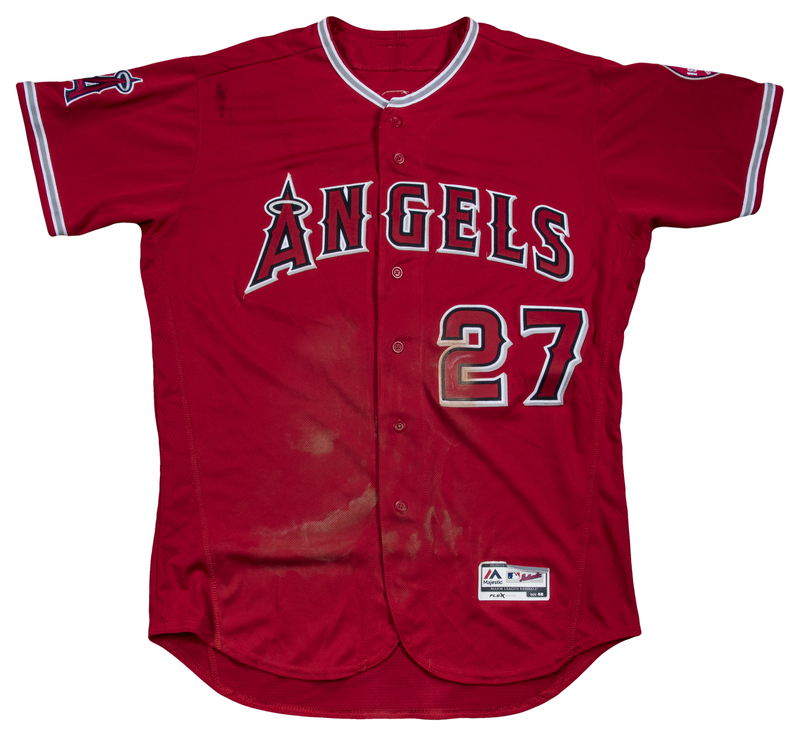 This red Majestic button-down jersey has “ANGELS” and Trout’s number “27” sewn across the chest in red, navy, white, and gray tackle twill, with a similar “27” also appearing on the back of the jersey. 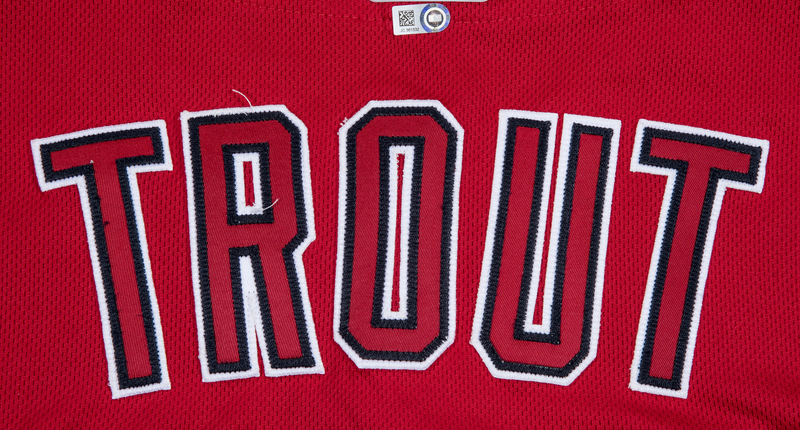 “TROUT” is sewn across the back shoulders in red, navy, and white tackle twill. 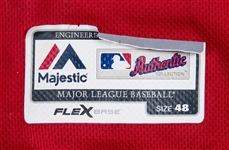 A ChromaFlex MLB logo is sewn on the back outside collar, and Angels logo patches are sewn on each sleeve. 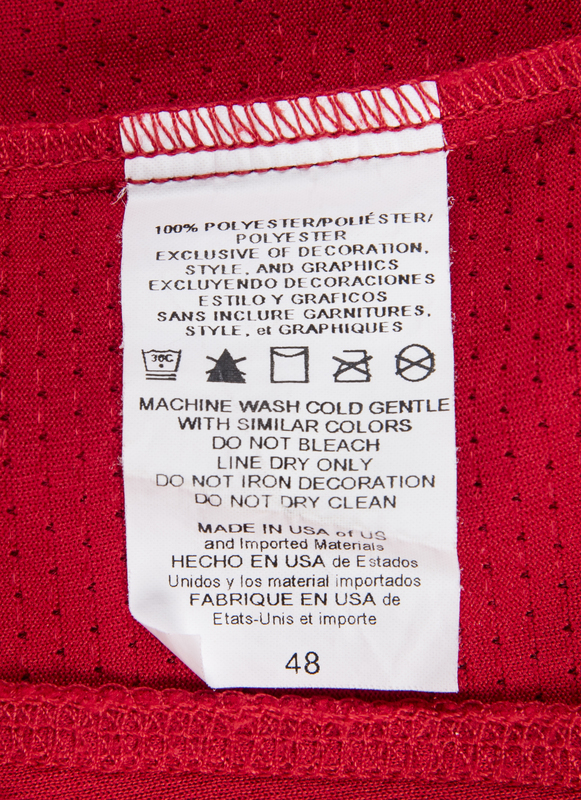 White-gray-white piping accents the collar and sleeves. 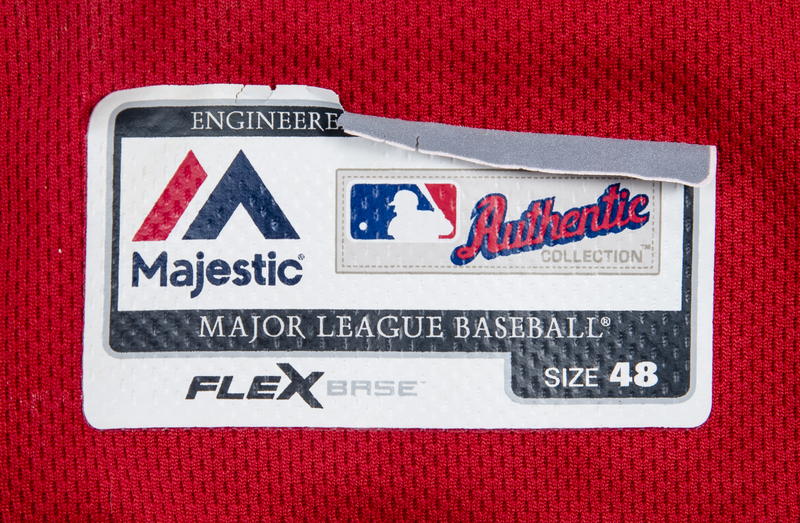 A Majestic FlexBase size “48” tag is applied to the front left tail, however the top of this tag is peeling slightly. 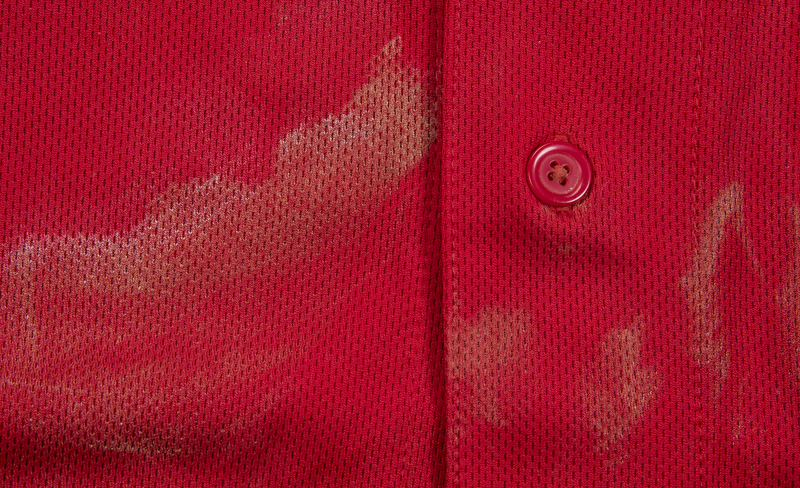 This jersey shows good evidence of game use, including a large dirt stain on the chest. 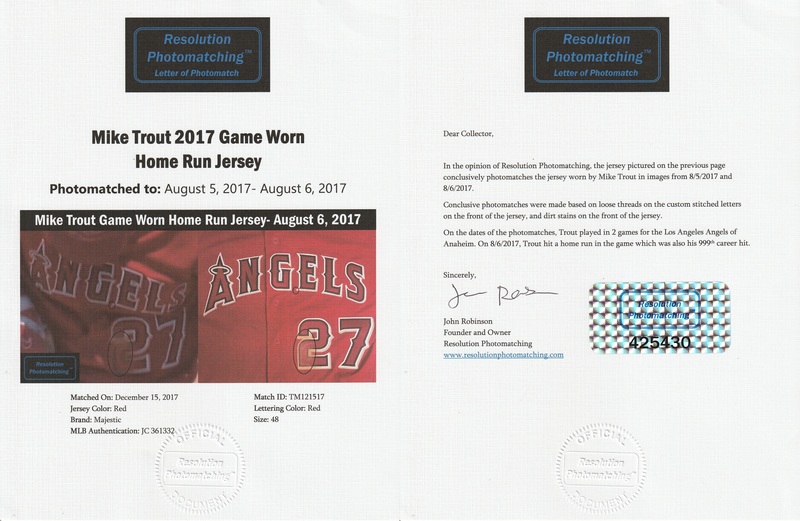 This jersey comes with a MLB Authenticated hologram (JC 361332) and it has been photo matched to the August 5th and 6th games by Resolution Photomatching (425430), who have provided an LOA. 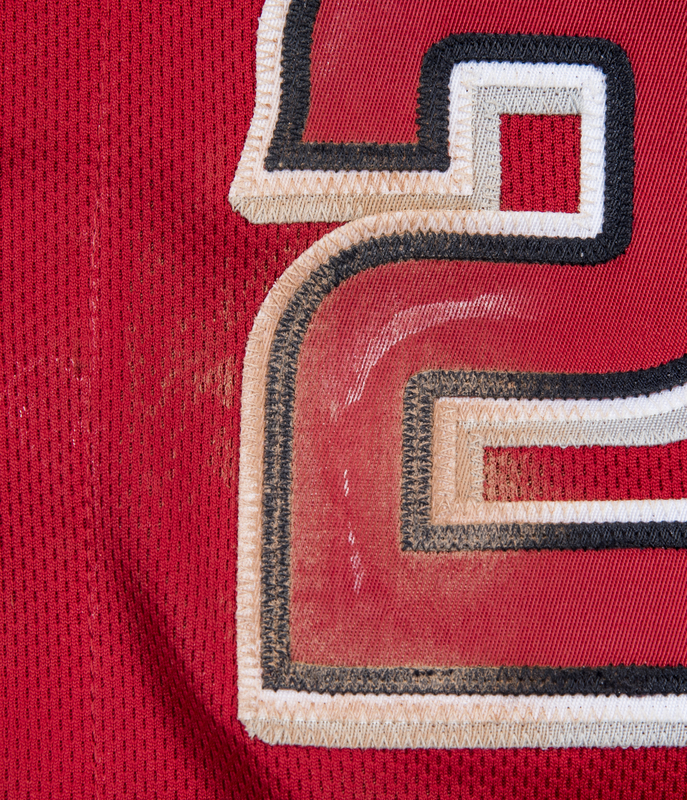 An Anderson Authentics STICKER ONLY (2765) is applied to this jersey.